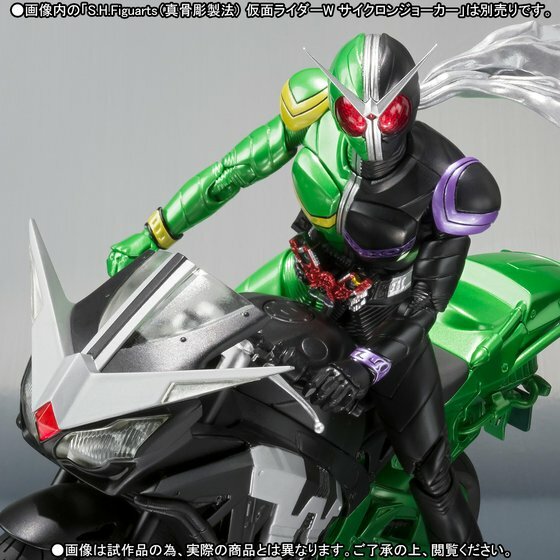 Premium Bandai announced an all new S.H.Figuarts release of Kamen Rider Double’s bike, the Hardboilder. 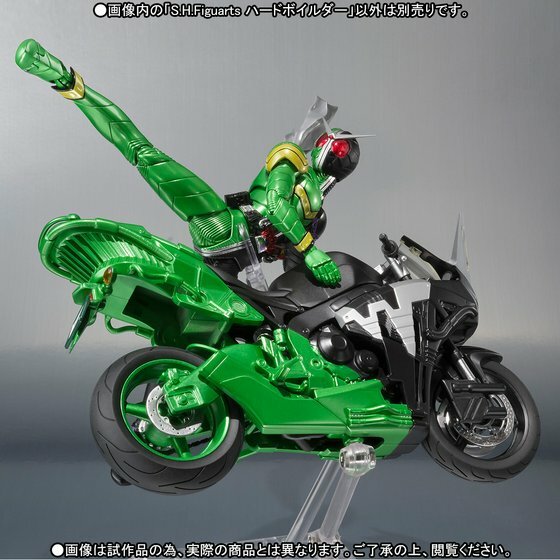 The S.H.Figuarts release of the the Hardboilder is slated to include stand parts for additional posing. 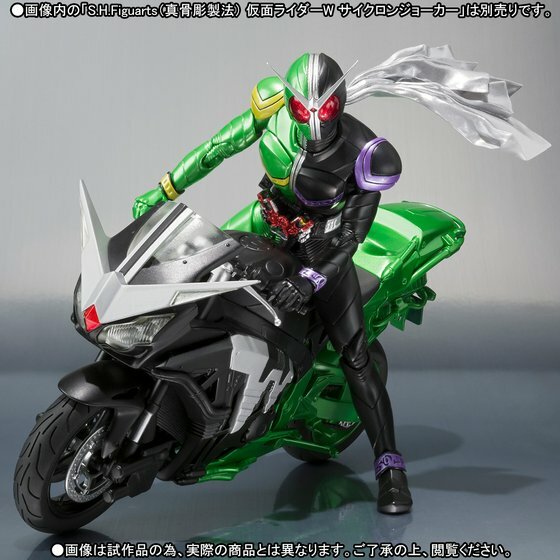 Despite not being a Shinkocchou Seihou release, this Hardboilder release is an all new mold compared to the one released in late 2010. 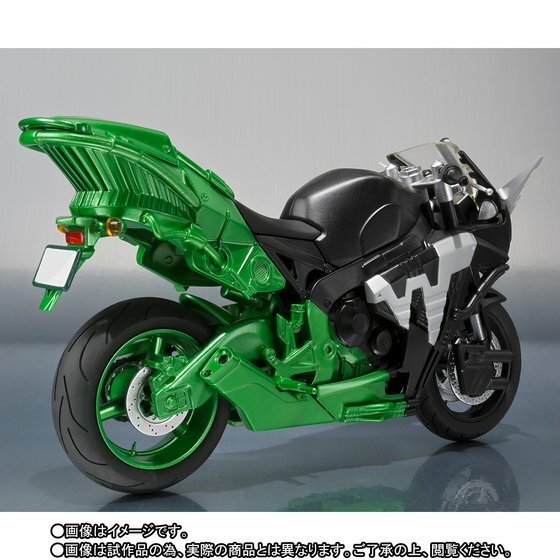 This mold is much more accurate to the bike used in the series and features new proportions and joints seen in the more recent S.H.Figuarts bike releases. 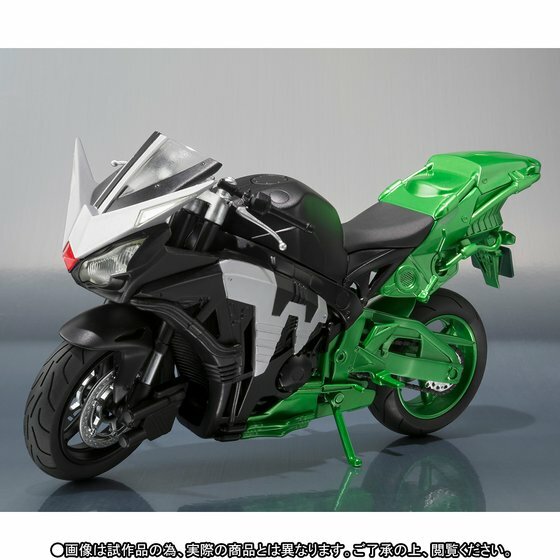 Preorders for the Hardboilder are currently live and will conclude at an unannounced date. 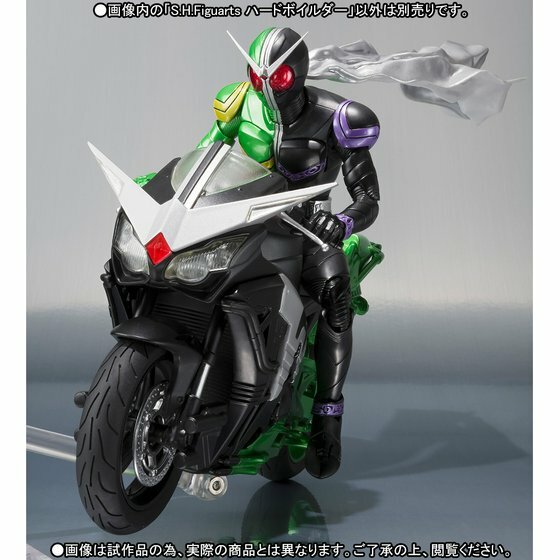 The Hardboilder will retail for ¥5,184 before fees and shipping and will begin shipping in April, 2017.